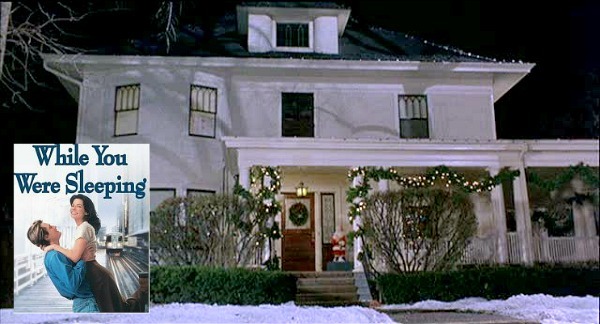 The Sandra Bullock movie While You Were Sleeping is one of my favorites to watch during the holidays each year, so I was determined to track down the white house in Chicago where much of it was filmed. UPDATE: It’s on the market! See new photos of what it looks like today here. The house is on the corner of 8th and Elm in La Grange, a suburb of Chicago. According to Zillow, it was built in 1904 and has nearly 4,000 square feet. It looks even more beautiful than it did in the movie. Who wouldn’t want to spend the holidays here? Did you know the role was originally written for Demi Moore? Sandra Bullock had just come off the blockbuster “Speed” and was ready to try something different. This was the beginning of her romantic comedy career when it premiered in 1995. Yes, I love that movie, however my all time favorite it Sleepless in Seattle. I think I dig out While you were sleeping and watch it again tonight!! I love that movie too. I would love to have an old house with a porch. We don’t have many of those down here. Everything is NEW! Oh I know what movie house #3 belongs to. It is “Step Mom”. I own that movie. I just fell in love with the house as soon as I saw it! Too bad it’s such a sad movie though. Love this movie and watch it again and again. I missed seeing your A Christmas Story post, until this morning. We love that movie, too! Saturday, my youngest daughter who is a great enabler of her Mother’s passion for Christmas this and that, called. She was visiting Got A Deal and found that Sears was having a terrific sale on Dept 56, A Christmas Story pieces. Yep, you guessed it. We started another collection. I picked up several pieces at the store yesterday and had others shipped. I cannot wait!! Oh yes, this movie is one of my favorites too! Don’t you just love Bill Pulman? A perfect movie rental for a cold winter night. I think you’re right Mike. When SJP backs the car down the drive she hits a tree. One of my favorite scenes. These homes are absolutely gorgeous. Such an adorable movie! I thought her land lord was halarious, and I have a special place in my heart for the grandmother since she was the mom in Mary Poppins. This is also one of my favorite romantic comedies. I love the lead glass windows on either side of the door. I haven’t seen that movie in years, probably since shortly after it was released, so I’m not sure who all the family is, but in the toll booth scene isn’t the woman in the bottom right corner the mom from Mary Poppins? Gosh, it’s been a LONG time since I’ve seen this movie!! Thanks for sharing! Another great movie. I think this was a perfect roll for Sandra Bullock, and don’t think it would’ve conveyed as sweetly had Demi Moore done it. Another great post, can’t wait for tomorrow! 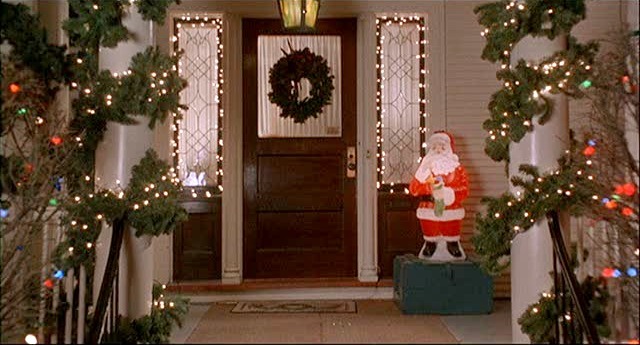 Oh I love this movie, it’s in my top 10 favourites of all time and wonderful Christmas movie. I remember feeling very much like Lucy when it came out and I think that’s why I have such fond memories of it. I can’t believe it’s 13 years old! Great pictures,Julia, thanks.I hope that if the next house isn´t of Stepmom,please find this house for us, the bedroom belongs to Susan Sarandon character was amazing. This is one of my all-time favorite movies! Has it really been 13 years?! I’m with Mike – tomorrow’s looks like the Family Stone – another awesome house. I just love your decor in the movies postings! This is one of our favorite movies, too. 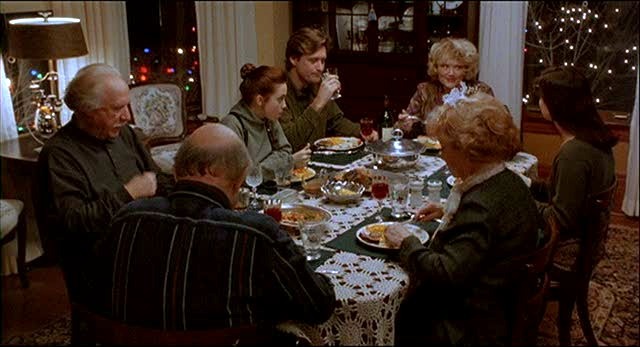 “These mashed potatoes are so creamy” is one of our favorite moments in the movie… When our daughter (now 18) was little, she would make us rewind it over and over again on the part where the newspaper boy falls off his bike!! She would just crack up over that. I LOVE THAT MOVIE!! We need to watch it soon. Aww I love that movie …it’s so cheesey! I really love this movie! really really love it! Makes me want to watch the movie now! Lol! 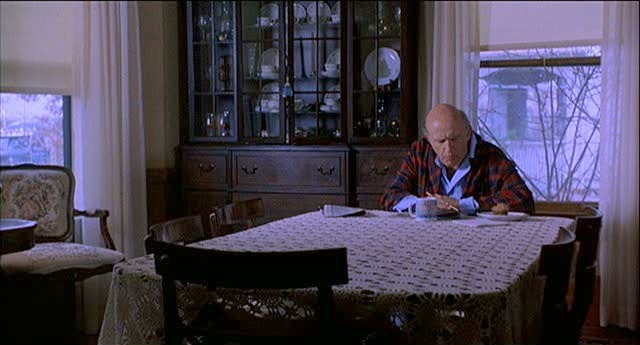 The scene where Lucy is going through his wallet has always stuck with me. She is going through it slowly, with amusing curiosity, when all of a sudden she comes to a scrap of paper and she gets alarmed. We then sees why; it’s a coupon for cat food. She rushes over to feed the cat and this moves the story forward for the romance to build with the guy’s brother. It’s a great scene. I often wonder if I would have connected the coupon with the thought that there might be a hungry cat waiting for food at his apartment. I LOVED this post. Loved the movie. The architecture of the homes was so beautiful. I never noticed it before. Thanks so much! I look forward to reading more of these – what fun! I didn’t get that one… loved that movie too! You have GREAT photos of movie sets… I think I might have to ask you next time I cannot find photos of sets to paint! You are NOW in my reference bank! Hooked on Houses library! Ok… I have one for you… Spanglish… I have not been able to find a good photo of the front of that house… hmmmmm… let me know if you have any phones. I LOVE this movie and was thinking I should watch it just last night. Of course I love Lucy’s cluttered apartment and the family’s house–I never think of Peter’s cheerless apartment. This is one of my favorite movies….the family is the greatest and very funny. One of my all time favorite movies! I love a Christmas scene in winter and with all those lights! 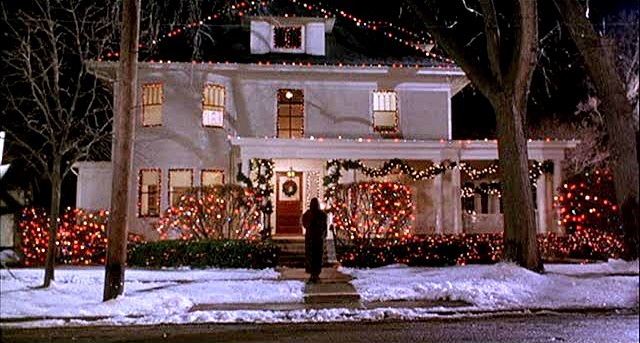 sigh, i always loved that house. so perfect. 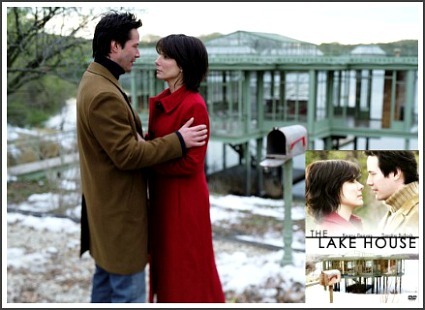 do you know where they filmed this movie?? I watched the movie. The suburban shots are La Grange, IL. I’m writing to Kristine, who posted on March 27, that it is her house! I’d love to hear whether she lived there during the filming and what it was like! Thanks! I FOUND IT!!!! 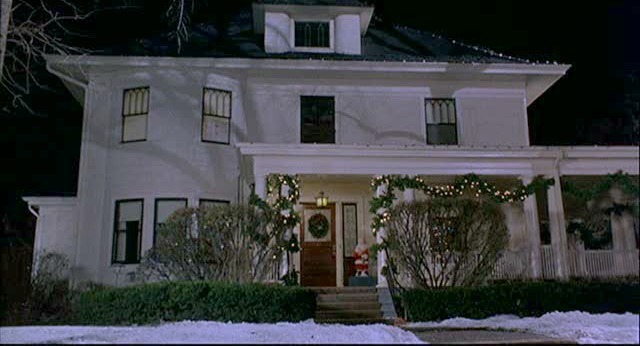 The address of the Callahan’s house is 328 E Elm Avenue in LaGrange IL. One beautiful house!!!! that’s close, but not my exact address haha! yes i lived there at the time, but i was only about 7. we had to move out for most of the shooting and we were living down the street. everyone was so nice. the snow was all fake and we were the only house on the block with it. i met everyone a few times and they were all so nice. for whatever reason, whenever we stopped by, there was LOADS of baskin robbins ice cream that they gave to us. they redid some of the interior for the movie but most of it is the same. shortly after the movie, my parents put an addition on the side of the house. and the kid falling off the bike is on 8th ave, south of my house. the actual house is on the corner of 8th and elm in la grange. My favorite part that reduces me to tears every time is when Jack looks back at his family after kissing Lucy in the booth when she accepts. I fell in love with Bill Pullman that moment myself! Do you know the name and location of Lucy’s apartment? Sorry, I don’t. Does anyone else? A correction in the captioning is needed for the last image. This is not the State/Lake El Stop. This is Wabash & Randolph stop. The view is looking due north towards the now demolished Chicago Sun-Times Building. Trump Tower Chicago currently occupies that site. When Winter comes around this movie was always in the VCR as soon as it was released, always reminds me of the holidays. I love it!